Tom came into my office about 6 months ago. He is a 32 year old male with a long history of inflammatory bowel disease. 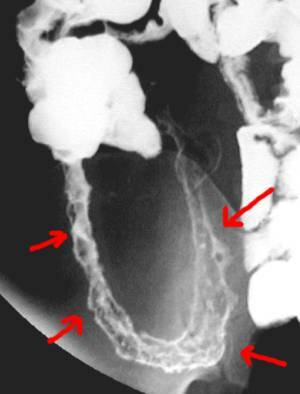 He has been evaluated and treated by many gasteroenterologists over the years, and was told he has Crohn’s Disease, and will never fully recover.Left Image: Crohn’s with typical ulceration of distal ileum on barium xray courtesy of jeffrey dach md. Tom had seen my previous article on Low Dose Naltrexone, and he was interested in using it for his Crohn’s Disease. None of his other doctors would give it to him. I started him on the drug immediately. LDN is safe with virtually no adverse side effects, and has been shown effective for Crohn’s Disease in a publication by Jill Smith MD at Penn State University. problematic and debilitating diseases. For more than 10 years I had been struggling with Crohn’s disease and fighting a losing battle. For a lot of people, Crohn’s disease doesn’t respond well to traditional methods of treatment. The anti-inflammatory drugs I was taking before I saw Dr. Dach had very little effect and the prednisone was such a destructive drug, I could only be on it for short periods of time. I gained 85 pounds on my last round of prednisone and as soon as I came off, the bleeding and intestinal pain resumed and I started worrying about long car rides and being far from bathrooms. This had a big impact on my personal and professional life. I knew that if I ever wanted to get rid of the disease it would be with an unconventional treatment. I first heard of LDN from doing a search on the internet and made an appointment with Dr. Dach. I had exhausted every possible option before and felt like I had no where else to turn. 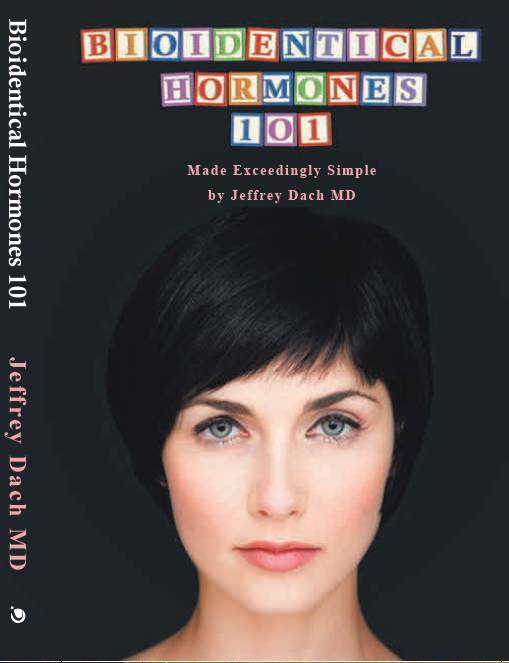 When I went to my appointment, Dr. Dach spent a lot of time with me and it felt very different than the “assembly line approach” that I was used to. My first visit was in the summer of 2008 and I’ve been symptom-free ever since. I could feel my body healing almost immediately after starting treatment. For me, low-dose naltrexone has been a miracle drug. I can now lead a normal life and do all kinds of things Crohn’s disease would have prevented me from doing, like sitting through a movie or taking a long car trip. This has changed my life and I hope more people can benefit.